Memories - no longer for sale. 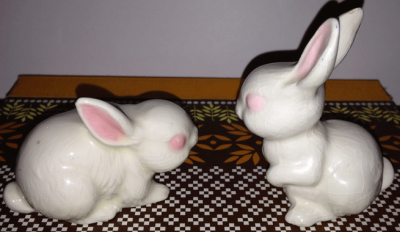 These rabbits were hand-painted by a member of the Ratcliffe family long ago, which dates these pieces to be over 35 years old. 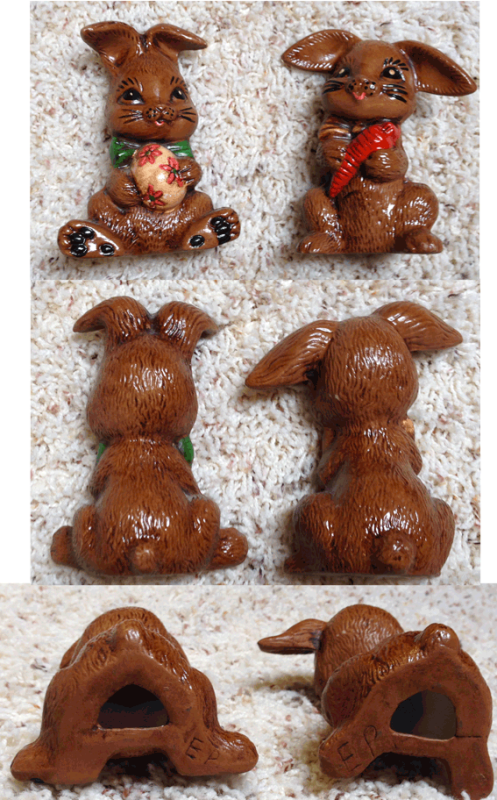 A pair of brown bunnies, one holds a painted Easter egg and the other holds a carrot. Both have little bowties around their necks. It would appear these were also hand painted by the same family member, as there is an initial on the bottom of one of these rabbits. 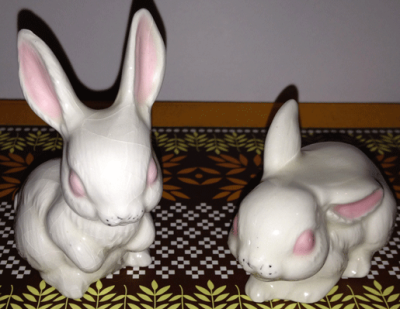 These little bunnies are glazed white with pink eyes and ears, and have tiny black dots painted for the whiskers. One bunny has a bit of blue on the back tip of one ear. The glaze has cracked over time in a webbed pattern on the rabbit that is sitting up, This shows up well in the pictures below. 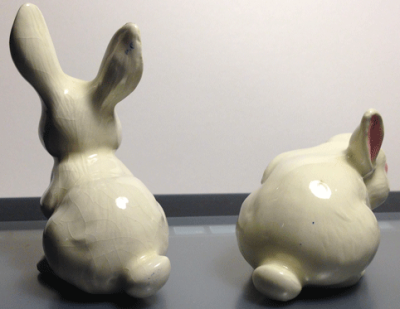 These bunnies are 3 inches at the tallest and 2.5 inces at their widest. Together, they weigh 3.5 ounces. 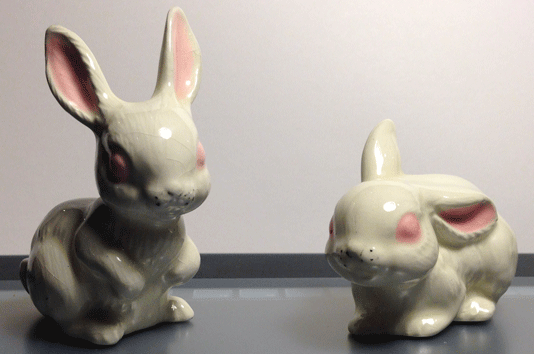 These bunnies are at least 35 years old.